Microsoft showed off more of the Xbox One X this week at Gamescom, but they also sat down with many of the developers that are working on games for the Xbox One console. Jeff Strain, founder of Undead Labs, popped in for a bit to talk about State of Decay 2 and just a little bit about the new co-op feature. There wasn't a lot given away in the brief five minute segment, but Jeff does mention that the title will support drop-in/drop-out online co-op so your friends are free to join you anytime. He also described a setting you can enable that doesn't have an official name yet, but Jeff described it as way to tag yourself as "willing to help." What this means is that if some other player (could be someone you know, or just some random fellow zombie fighter) gets into trouble, they can send up a flare to ask for help. Anyone that has enabled that "willing to help" feature, then, will get a notification in their game that someone requires assistance and they can push a button to hop into that person's game and help out. 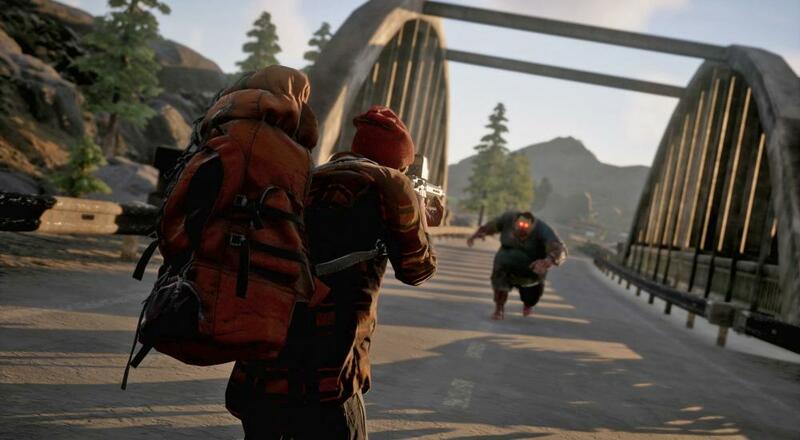 State of Decay 2 still has no firm release date, just a "Spring 2018" window. It's slated for PC and Xbox One release and will support four player drop-in/drop-out online co-op throughout the campaign. Page created in 0.2282 seconds.